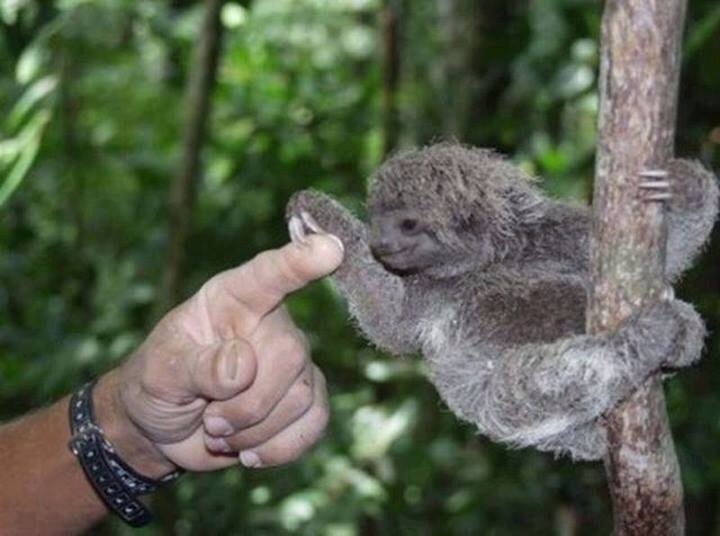 Modern sloths are members of the superorder Xenarthra, which includes anteaters and armadillos. They are slow moving, and often host many other parasites and organisms such as insects and fungi. They sleep anywhere from 10 to 18 hours a day, and spend most of their time on one tree with which they have a symbiotic relationship (they bury their excretion at the base of the tree). Their young are particularly cute in appearance, with strong bones that help them survive even falls from trees. But what did their ancestors look like? In 1796, Colonel John Stuart sent Thomas Jefferson some fossil bones from a cave in what is now Greenbrier County in West Virginia. Thomas Jefferson, who was at that time Vice-President of the United States, was fascinated with them and thought that they might be the remains of a giant lion, which he named Megalonyx (“giant claw”). In 1797, Jefferson presented a paper titled “Certain Bones” to the American Philosophical Society. The presentation of this paper is widely regarded as the start of vertebrate paleontology in the United States. Jefferson believed that the lion was still extant, and even warned Lewis and Clark about the lion when they left for their expedition in 1804 to explore and cross the new western territories of the United States. However, physician and anatomist Dr Caspar Wistar correctly identified the remains as belonging to a giant ground sloth in 1799, and named it Megalonyx jeffersonii to honour the former president in 1822. This specimen that just arrived is a completely unrestored Megalonyx toe, with the metacarpels found right next to each other from the Peace River in Florida, USA. 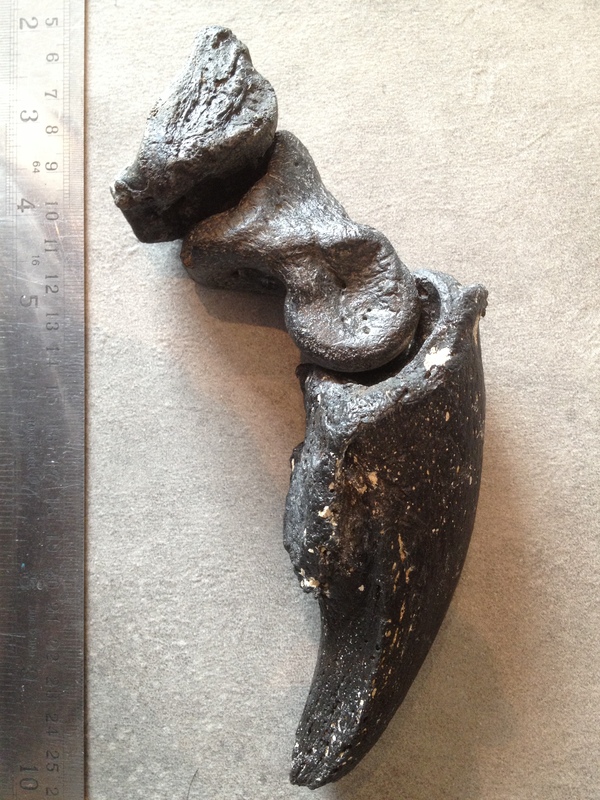 It measures 8″ in length and the claw itself measures 5 1/4″ on a straight line. It is unusual to find all the complete units together, and their perfect fit and articulation wonderfully demonstrates the range of motion of the animal. 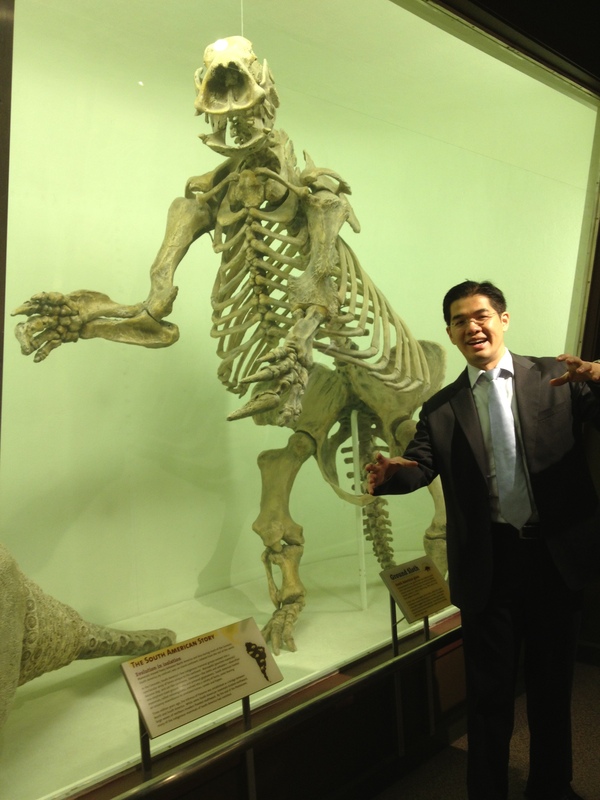 This entry was posted in Uncategorized and tagged Harvard, mammoth, megafauna, Megalonyx, Megatherium, Paraceratherium, Sabertooth, sloth, Smilodon, USA, Xenarthra. Bookmark the permalink.